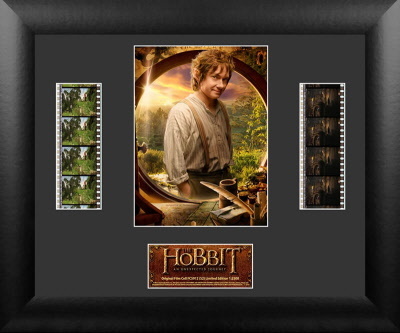 These are frames from the original movie roll, framed with postcards and a metal plate with the title and number. Because for legal reasons no longer available; listed here is my last stock. 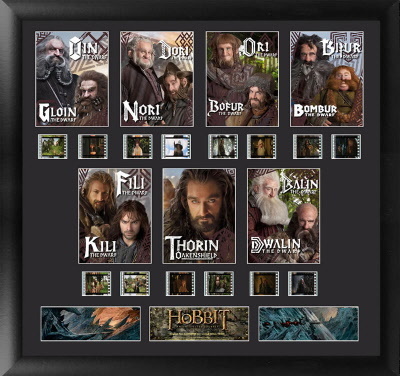 Picture frame with 10 single frames from The Fellowship of the Ring placed around a postcard of Frodo with Sting. 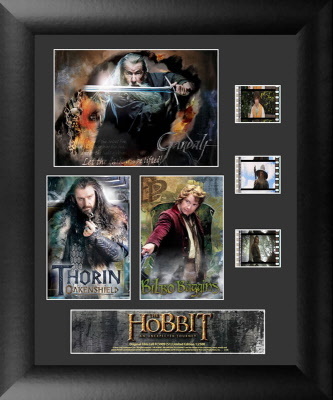 The card is signed by Sean Bean (Boromir). On a copper plate is stated that this is number 35 uit of a total of 49. With a Certificate of Authenticity. 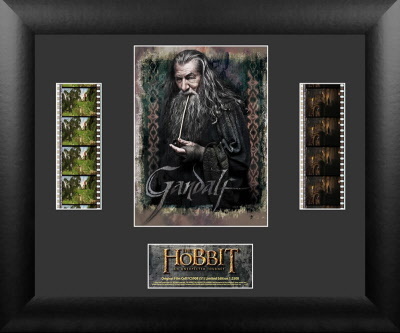 A framed strip of four 24mm frames, with on it a fighting Legolas. 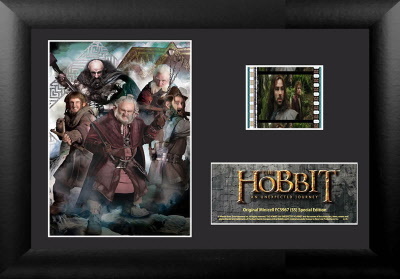 With a publicity card from the second movie and a copper plate, stating that this is number 148 out of 200. With a Certificate of Authenticity. 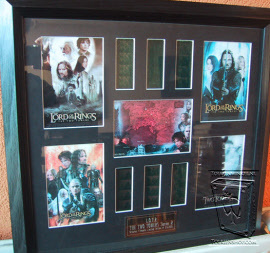 A framed strip of four 24mm frames, with on it Arwen. 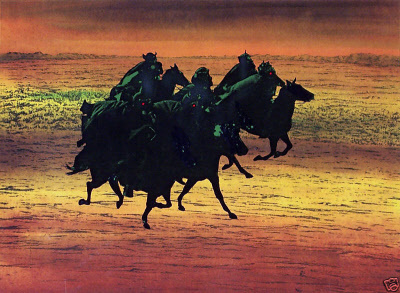 With a publicity card from the second movie and a copper plate, stating that this is number 118 out of 250 of the fourth series. With a Certificate of Authenticity. 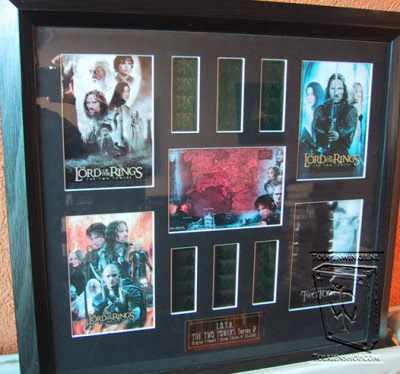 A framed strip of four 24mm frames, with on it Aragorn. 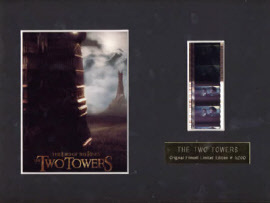 With a publicity card from the second movie and a copper plate, stating that this is number 247 out of 250 of the fourth series. With a Certificate of Authenticity. 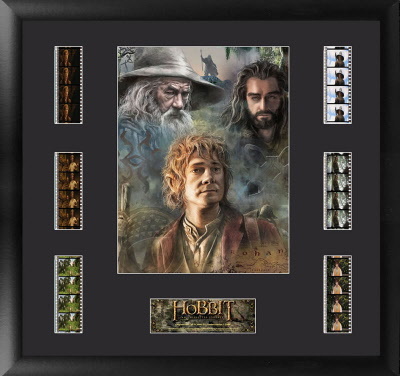 A framed strip of four 24mm frames, with on it Frodo and Gandalf. 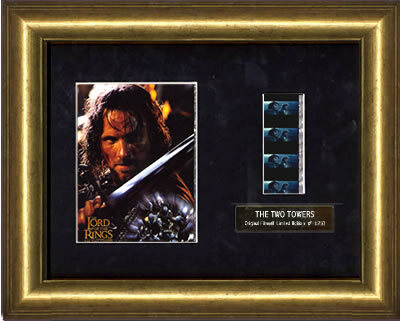 With a publicity card from the second movie and a copper plate, stating that this is number 137 out of 250 of the sixt series. With a Certificate of Authenticity. 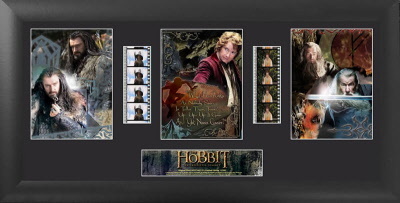 A framed strip of four 24mm frames, with on it Ëowyn. With a publicity card from the third movie and a copper plate, stating that this is number 26 out of 1000 of the second series. With a Certificate of Authenticity. 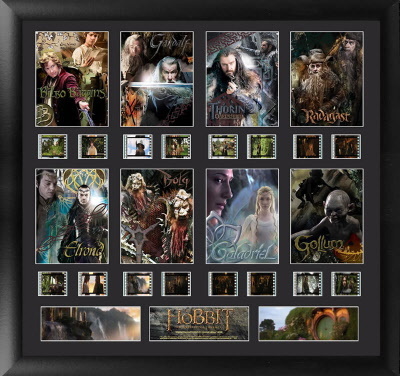 Framed two strips of each four 24mm frames, with Théoden and Ëowyn on the one and the forging of Andúril on the other. With three publicity cards from the third movie and a copper plate stating that this is number 13 out of 500. With a Certificate of Authenticity.